From time to time I’ll post stories of journeys I’ve taken in the past. This is from a trip to Florida in February of 2016. 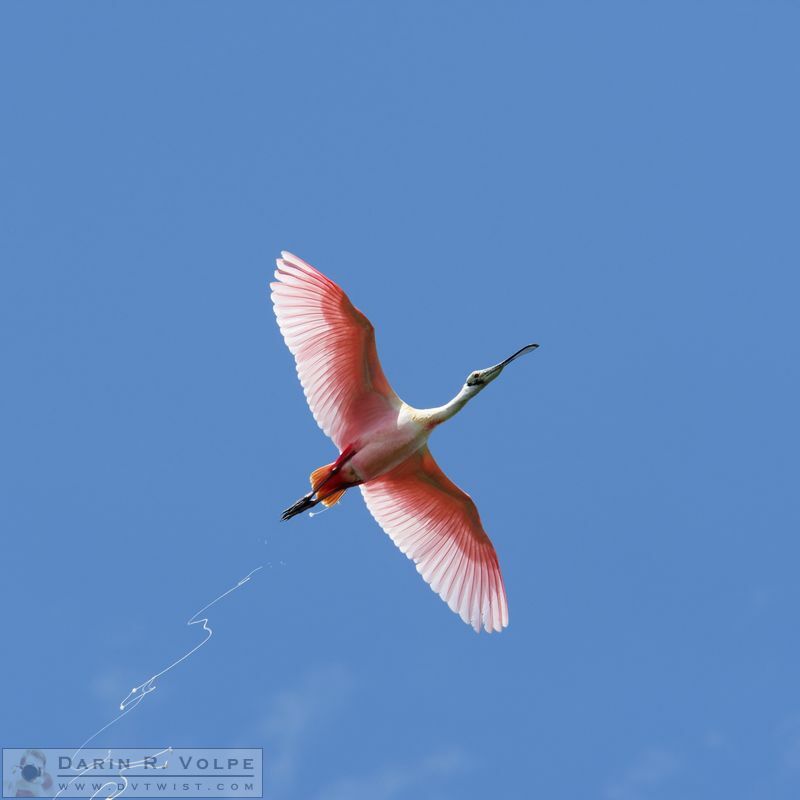 2016 started with a February trip to Florida for some wildlife photography and exploring. We boarded the redeye in San Francisco at nearly midnight and arrived in Ft. Lauderdale the next morning at about 7am. There, we rented a car for a five-day excursion. We had done our research before our trip, so the first thing we did was to pick up a Sunpass at a local Walgreens. In Florida, and I’m sure many other states with toll roads, tolls are automatically charged to passing cars based on either license plates or a transponder that’s attached to the car. Rental car companies are happy to automatically pass the toll cost on to the customer – with a “convenience fee” attached. We opted to live with the inconvenience of getting a prepaid Sunpass transponder and giving the money directly to the state. We stopped at Royal Palm, the first point of interest past the entrance station. 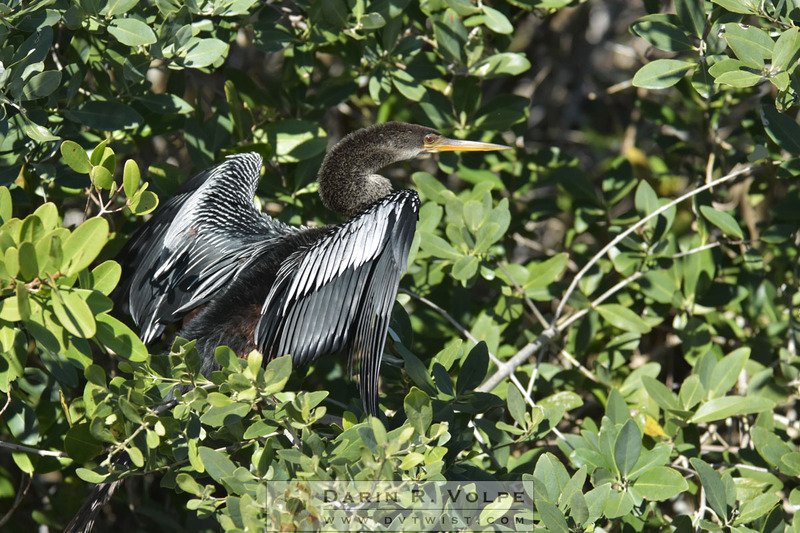 The Anhinga Trail started at the parking lot and became a boardwalk that looped over the marsh. 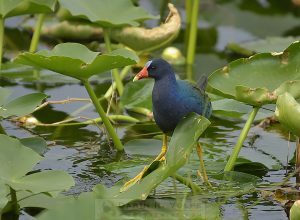 This is where we saw our first bit of wildlife for the trip, this Purple Gallinule, walking along the lily pads on its enormous feet. 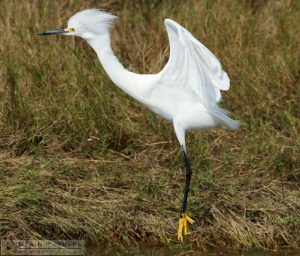 As we continued on the boardwalk we got to see our first American Alligator and I got two of my favorite bird photographs, this beautiful great egret as it hunted beside the trail. Egrets are not an unusual species for me – I’d spend my whole life near the estuary of Morro Bay, California – but I’d never seen them among ferns before. The threat of rain helped us decide to forego the Everglades on our second day. We decided on an indoor activity on Key West in case it did rain and headed south. 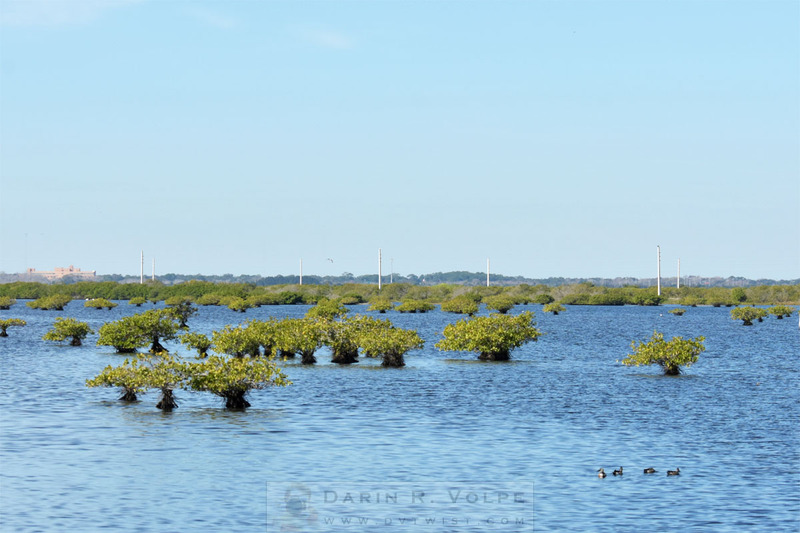 Always being one to get off the main roads where possible, I took a local road and crossed over a small toll bridge to the Florida Keys on the north part of Key Largo. 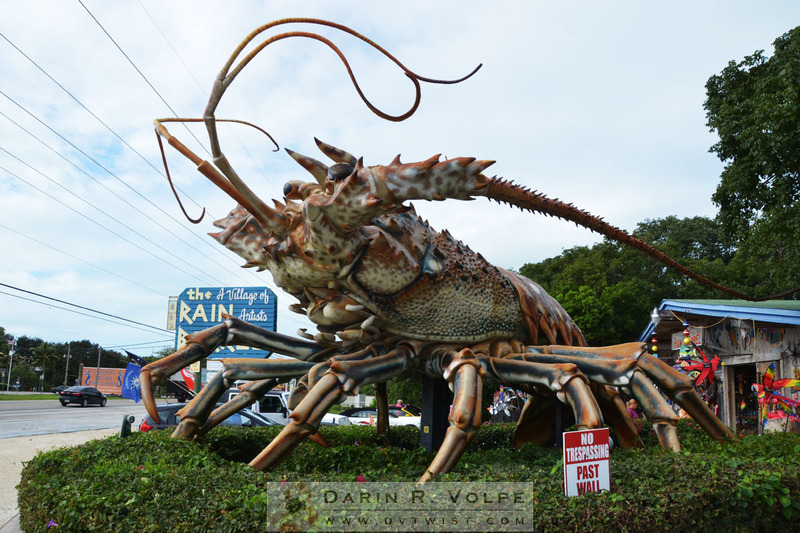 Then it was southwest to Islamorada and a stop at Big Betsy, the giant lobster at the Rain Barrel Sculpture Gallery. This sculpture is amazing. 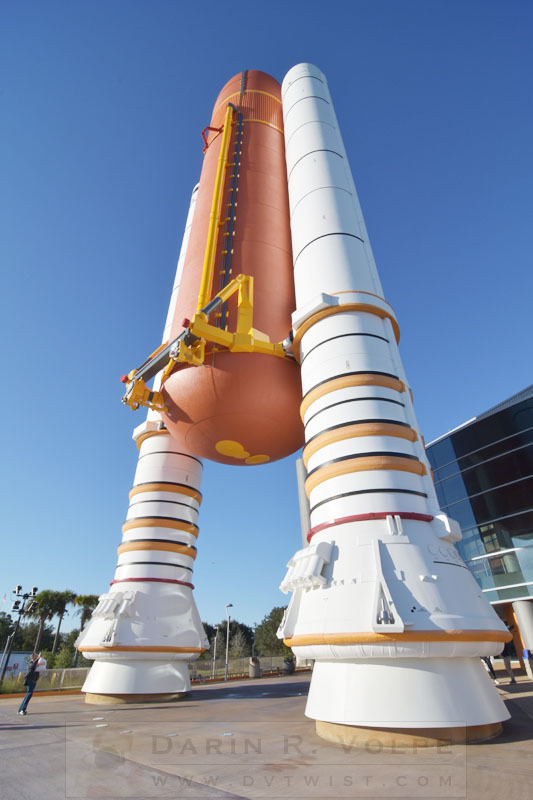 Not only is it huge at nearly 40 feet, but the only part not anatomically correct is the artist’s signature. By 4:30pm exhaustion finally got the best of us and we headed back to the motel. 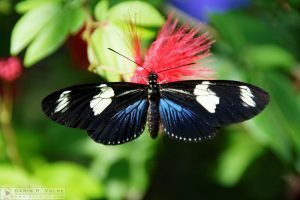 Key West is about a 100 mile drive on a mostly two-lane highway over tiny islands and long bridges that cross the Florida Keys. Our destination was the Key West Butterfly and Nature Conservatory, a 5,000 square-foot glass-enclosed tropical habitat housing up to sixty species of butterfly, a pair of flamingos that were imported from the much cooler Toronto, Canada, and a variety of smaller birds. This was one of the highlights of our trip and I would recommend a stop there to anyone traveling to the Florida Keys. 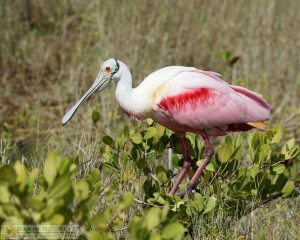 We spent another night in Homestead and then it was off for another visit to Everglades National Park. We decided to start at the west end of the park and work our way back east so we could better pace our day as we made our way back. We drove straight through to the end of the road at the western visitors center at Flamingo. 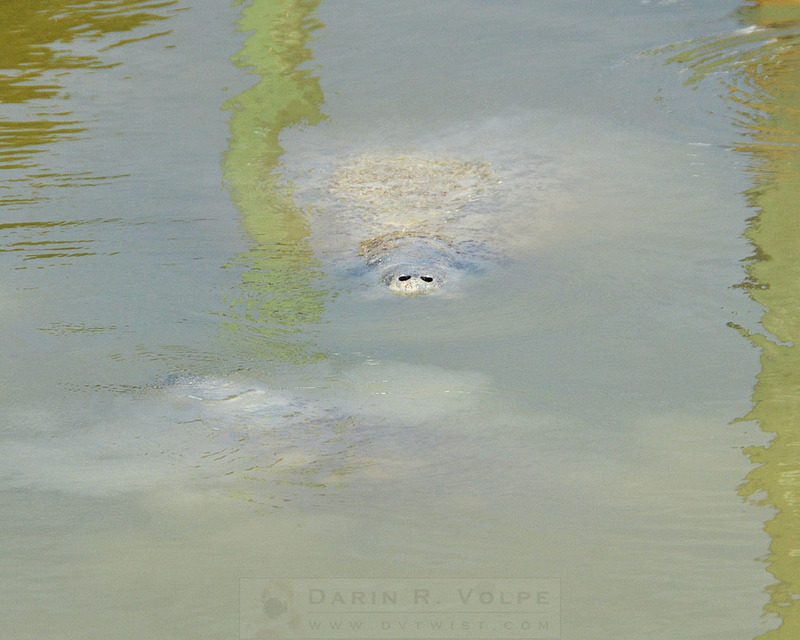 Several manatees were swimming in the muddy water of the marina that were, while quite magnificent, virtually impossible to see save for an occasional view of their backs or a pair of nostrils as they broke the surface of the water. 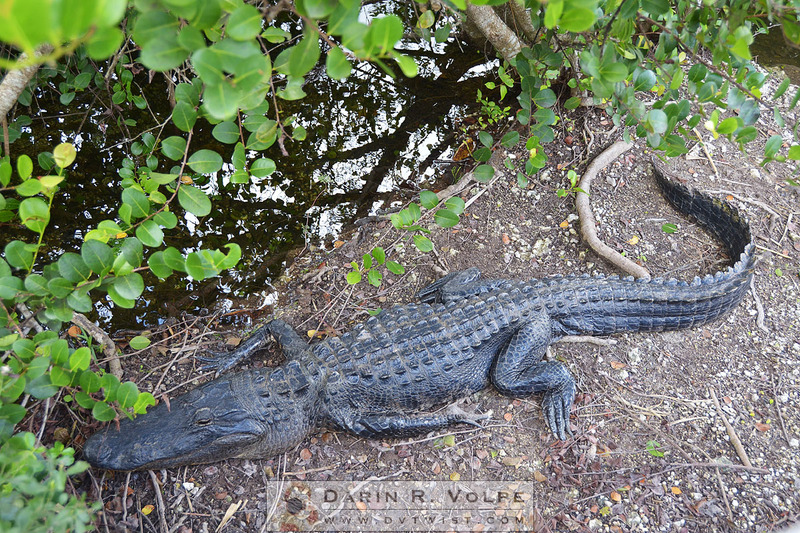 We also were treated to an American Crocodile that was laying in the mud, but unfortunately under the trees with horrible light for photography. These are the times when I have to remind myself that the entire trip isn’t about taking pictures. 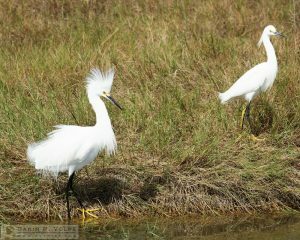 A park ranger recommended that we take Snake Bight Trail to its namesake bay for bird photography. This 1.6 mile one-way trail should have been called “Mosquito Bite Trail” for the millions of mosquitoes that descended upon us as we walked. Almost all of my exposed skin was covered in Deet, so they took to piercing my shirt and pants in search of blood. In defense, I took to slapping my back continuously with a borrowed scarf as a horse would with its tail. I managed to come away with only 52 bites. A pair of European tourists that we encountered on our return weren’t so lucky. They had no mosquito repellent at all and were covered in bites. We gave them some of our Deet and later heard from another hiker that had been behind us that they got Deet from him as well. I can’t imagine how miserable they must have been for the next few days of their American vacation. 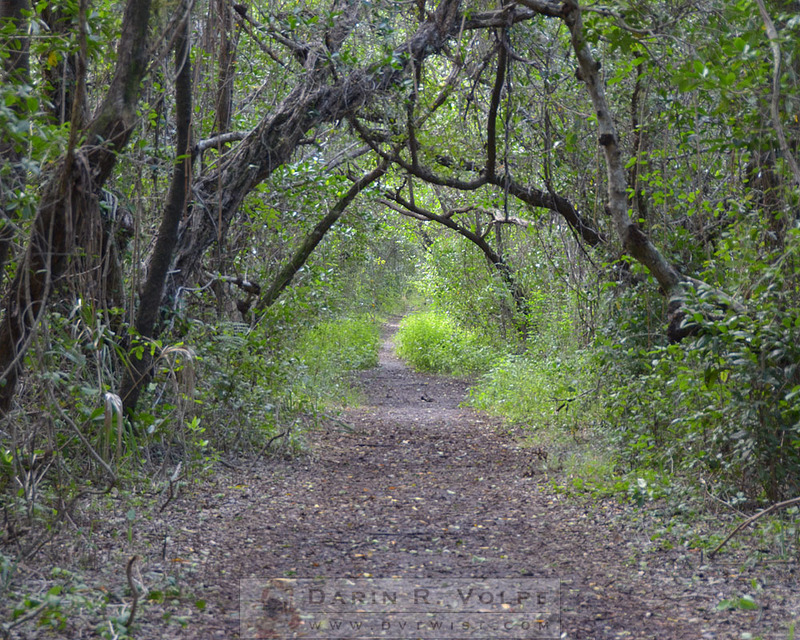 We expected mosquitoes in the Everglades, but the thing we encountered in Florida which I least expected were the prickly-pear cactus beside this trail through the tropical forest. 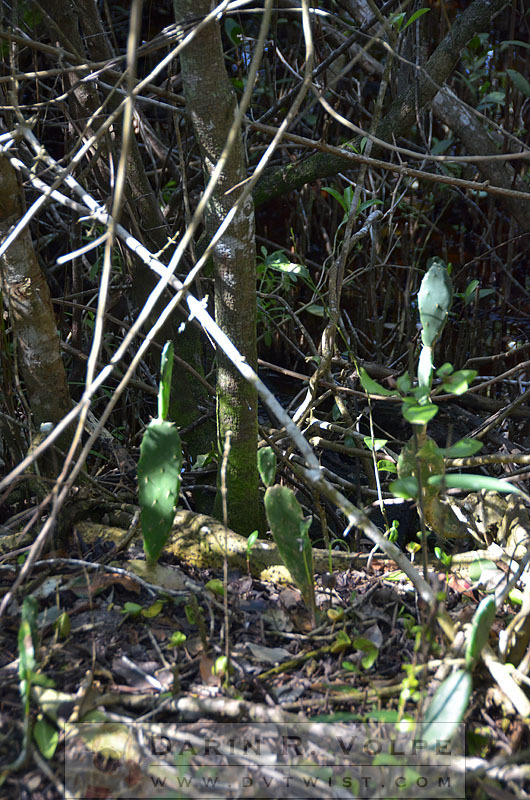 It turns out that cacti are common in tropical and sub-tropical areas and thrive in the wet conditions of Everglades National Park provided they have a sunny and well-drained site. 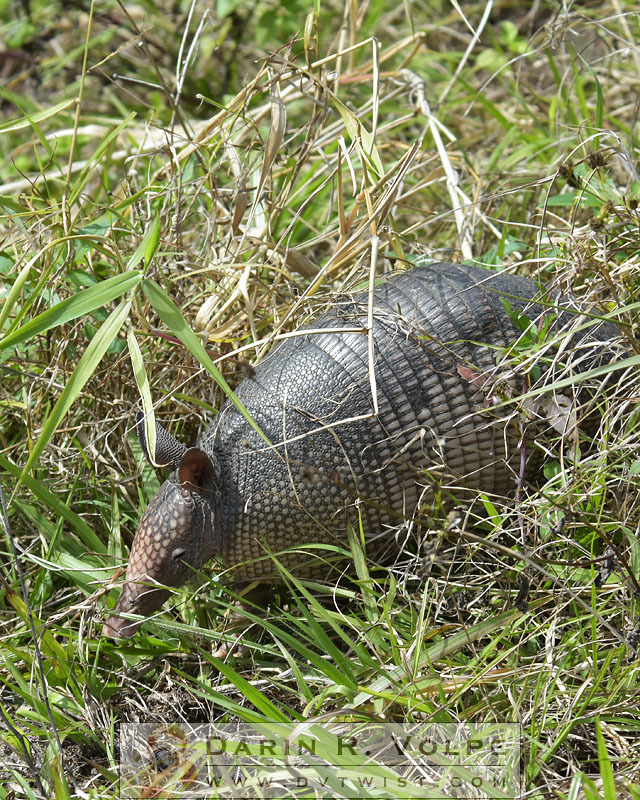 There are several species of cactus and other succulents that live in the park. Snake Bight Trail ended at a boardwalk with a viewing platform overlooking a small river draining into the bay. 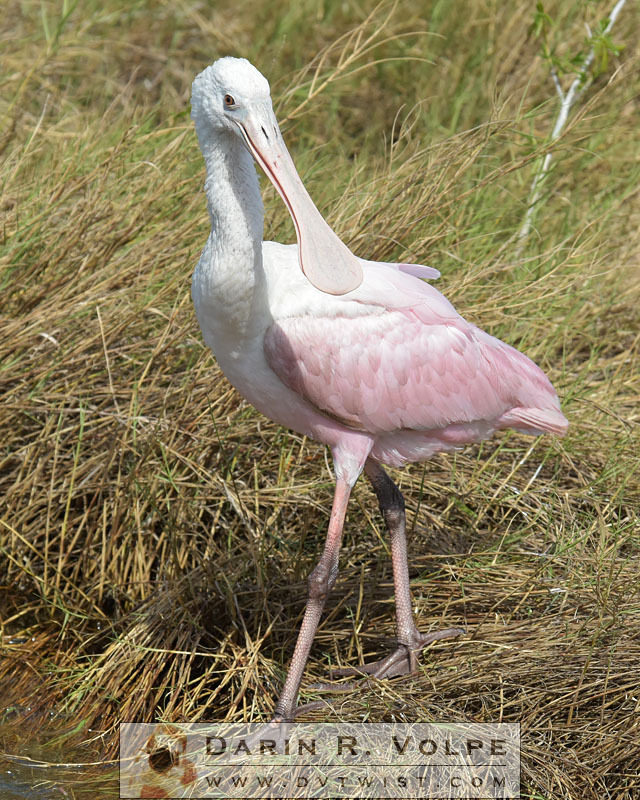 A small flock of Roseate Spoonbills were on the riverbed in the distance. They were mostly either too distant, against dull gray clouds, or both, to get any good photographs, but they did make a loop across the clear blue sky directly overhead to let me take this flattering picture. 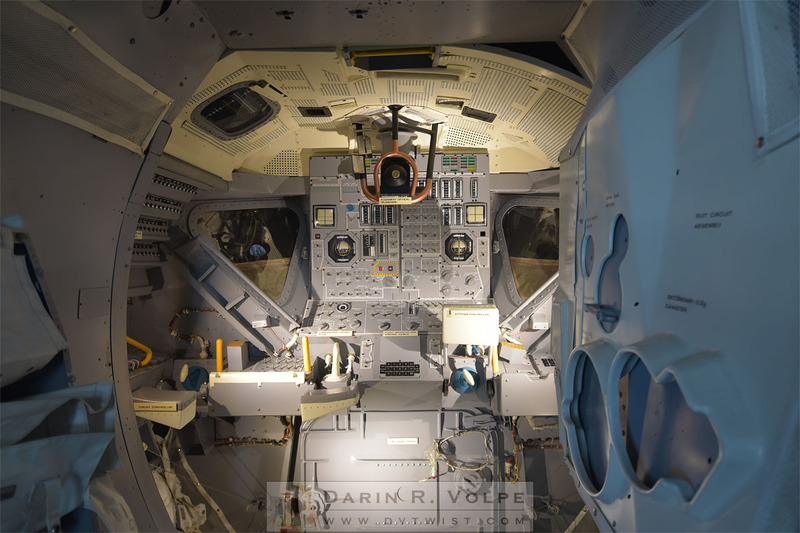 The Apollo/Saturn V center also houses the Apollo 14 command module, the lunar module originally built for the Apollo 15 mission, and many other artifacts and mock-ups from the Apollo era. 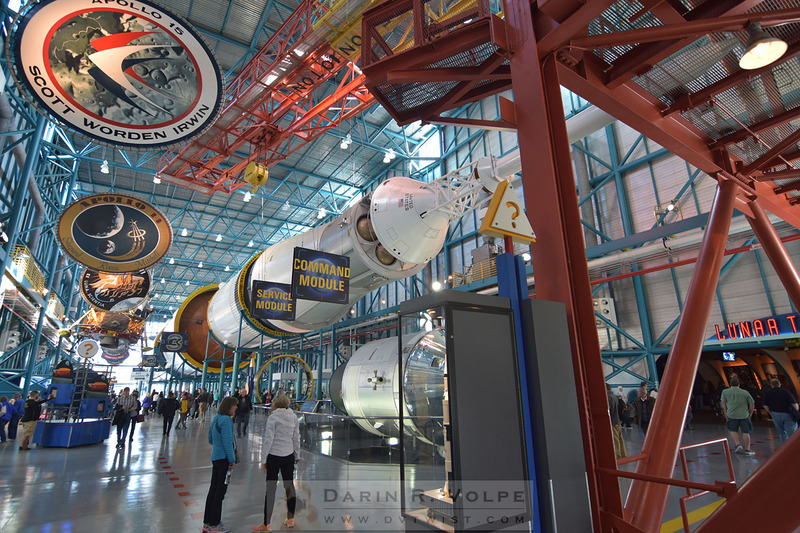 After exploring the Saturn V Center the bus returned us to the main visitors center where there were even more exhibits. 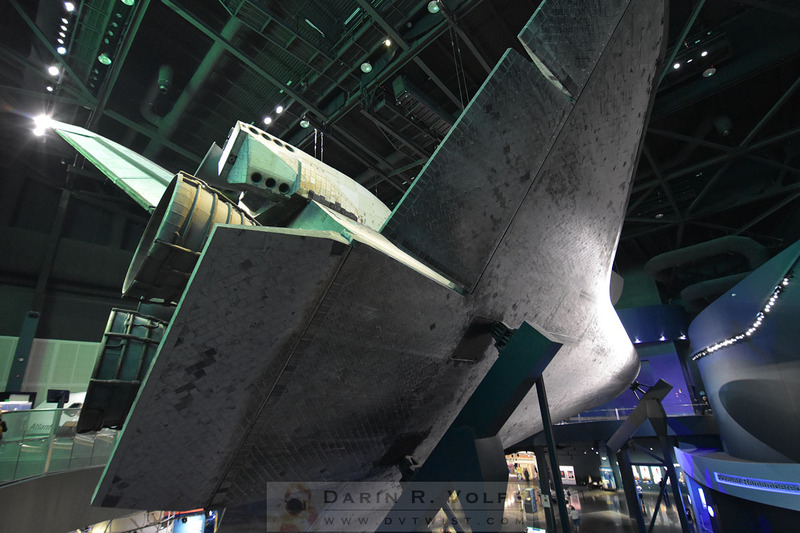 The centerpiece there was the Space Shuttle Atlantis. The sun was setting when we finished our day at Kennedy Space Center and we hadn’t lined up a place to stay for the night. I checked the web from my phone and found a bed & breakfast inn not to far away in the town of Titusville, The Casa Coquina Del Mar B&B. Since it was mid-week, we were lucky enough to be the only guests in this six-room inn that night. Although we selected a specific room when we reserved online, the innkeeper let us explore the other guest rooms and let us have our choice. She told us that on the previous few days days the inn was full, the next few days the inn was also booked solid, but tonight the only other guests cancelled and we would have the place to ourselves. 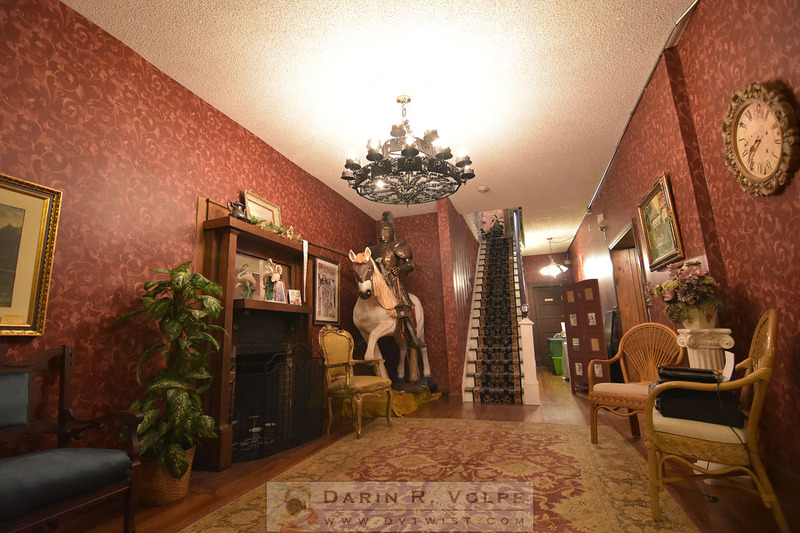 The decor was an eclectic mix of styles, as evident by the life-size plastic horse with a riding knight in the downstairs sitting room. 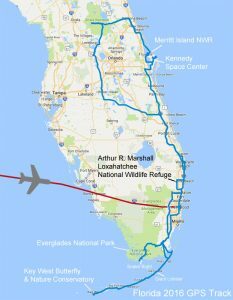 The Kennedy Space Center is visible about twelve miles away, making this a great place to stay on days when there’s a launch. 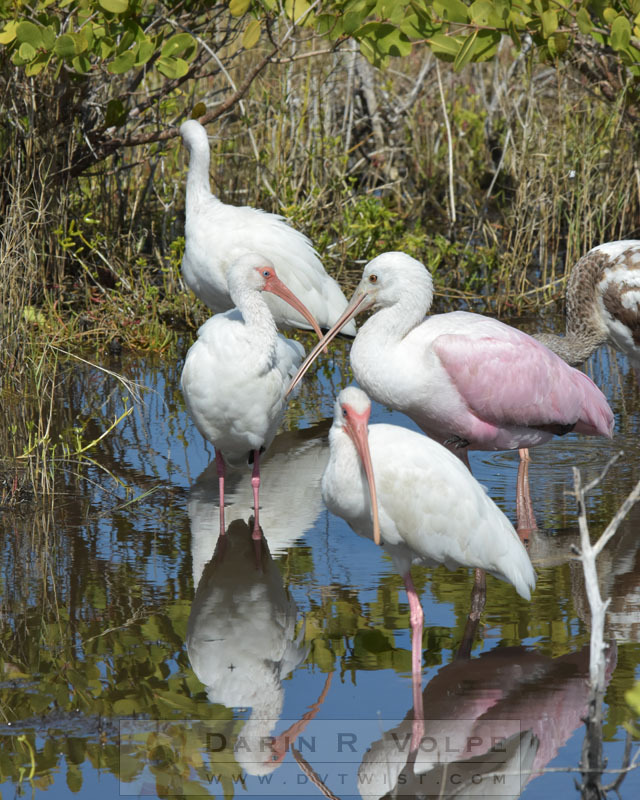 The next day we were off to the Merritt Island National Wildlife Refuge. 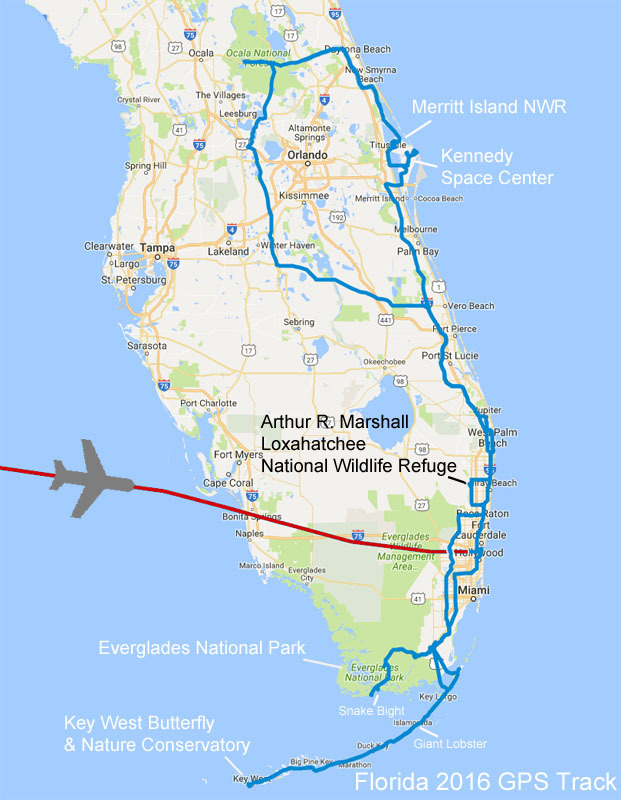 The refuge consists of 140,000 acres overlaying the Kennedy Space Center. 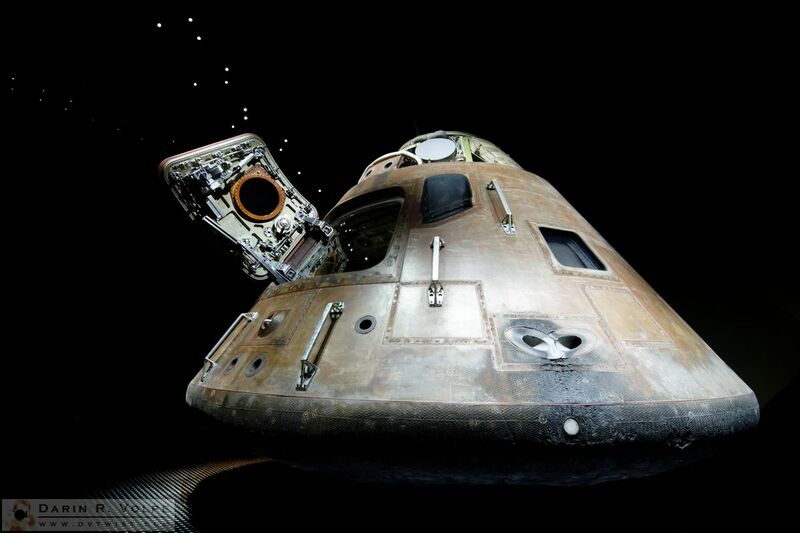 When the space center was constructed most of the land didn’t need to be developed, so in 1963 the refuge was established. Over 500 species visit the refuge including birds, manatees, bobcats, otters, alligators, and even the Gopher Tortoise, the only species of tortoise found east of Texas. I drove our rental car along the dirt road that winds through the northern part of the refuge. It was a beautiful clear day. 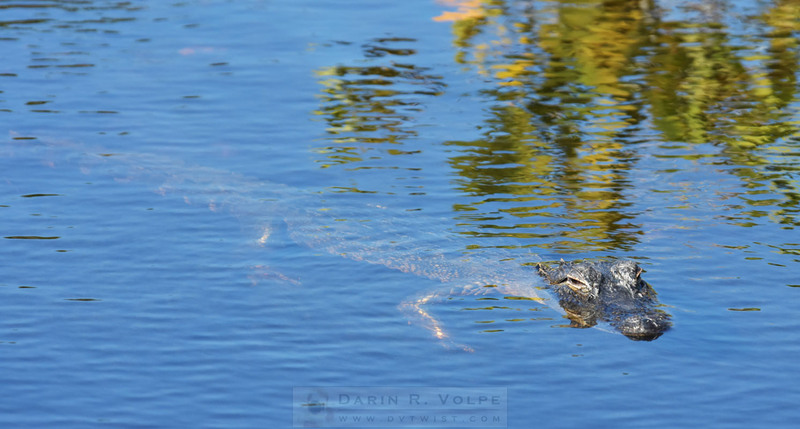 Our first encounter was with an American Alligator floating in the small river paralleling the road. 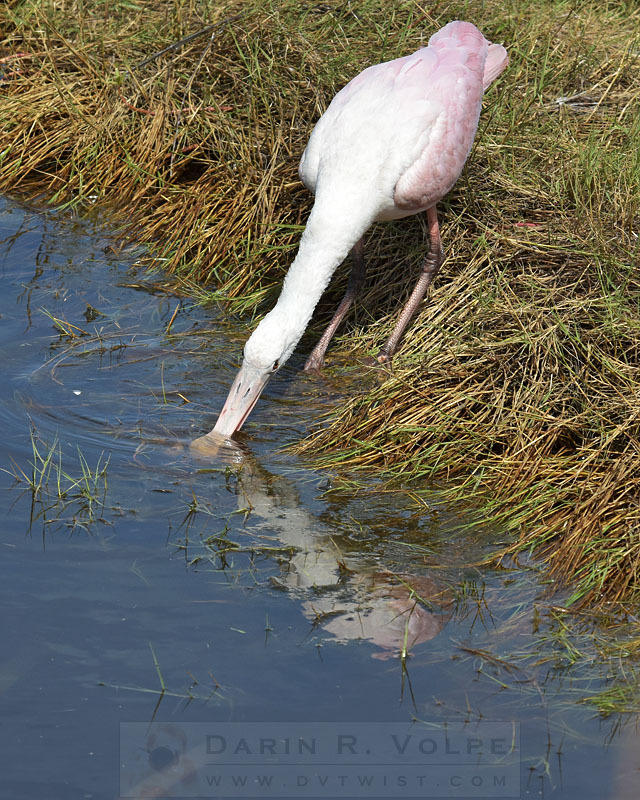 As we meandered through the refuge we were also treated to herons, storks, white ibises, egrets, roseate spoonbills, distant ospreys, and even an armadillo. The next day we headed north to the Ocala National Forest, then south past Orlando. After one last night in Florida we headed south. 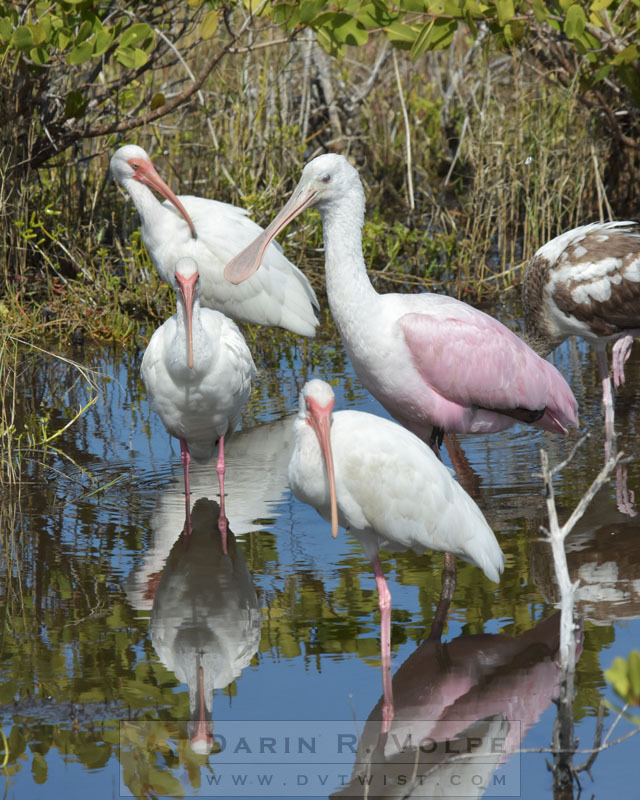 Our final stop on the trip was the Arthur R. Marshall Loxahatchee National Wildlife Refuge. We didn’t have too much time to stay at this refuge because our flight home departed Ft. Lauderdale that evening and there wasn’t too much wildlife to see during our short visit, but we did get to see an alligator, more ibises, and purple gallinules. 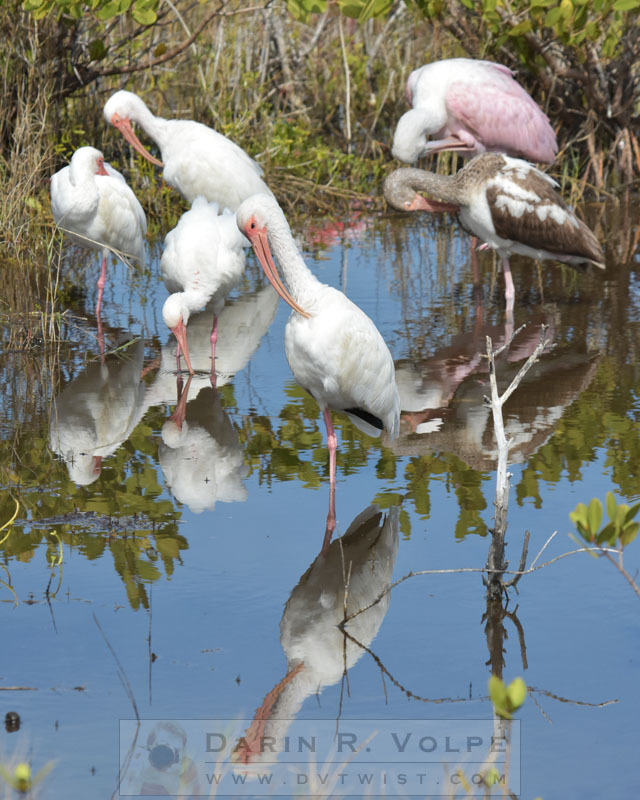 Still, I would recommend this refuge to anyone flying in or out of Ft. Lauderdale because it is only about one hour away from the airport. That makes it a good first or last stop on a Florida road trip.